Create your own stories, creatures, characters, afflictions, maps and much more! Everything you need to turn Folklore into your own sandbox adventure system! Also Contains six full-length, extra challenging end-game stories. 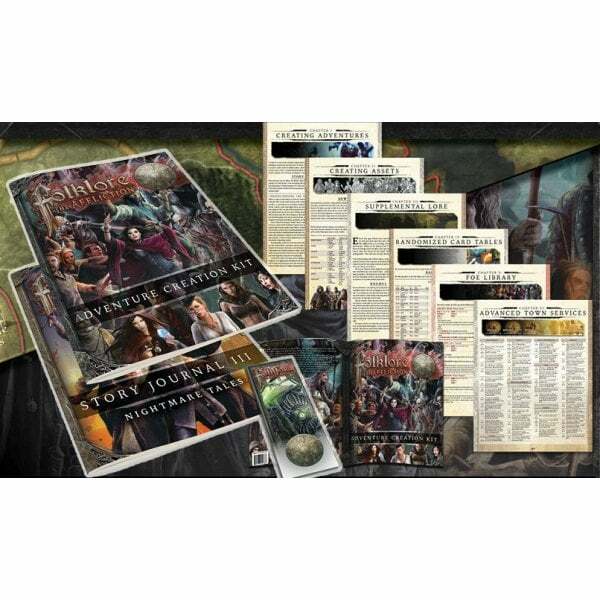 This storybook is not for the faint of heart; you’ll want to bring a party of battle-hardened adventurers to the table! Contains two 60 page softcover books and one collectors bookmark.